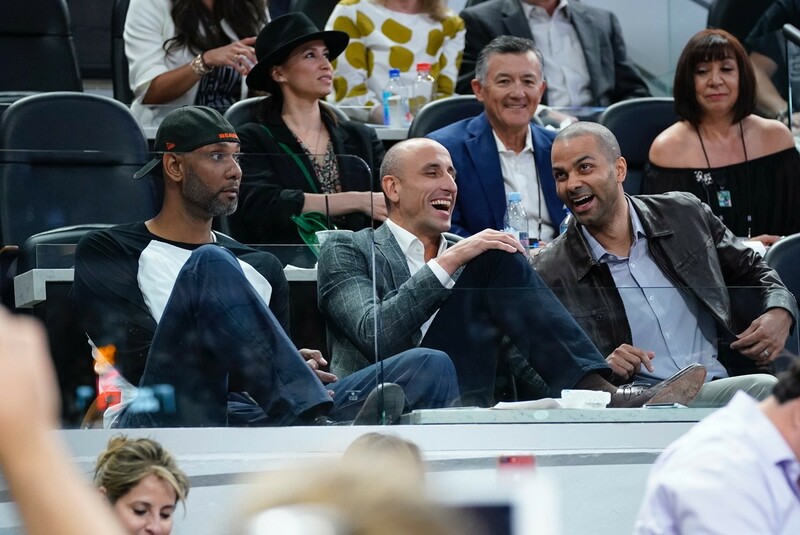 The Spurs' big three share a laugh before Manu Ginobili's jersey retirement ceremony. 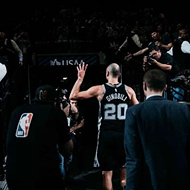 Heading into Thursday night’s showdown against the Cleveland Cavaliers, and subsequent Manu Ginobili jersey retirement ceremony, the current longest-tenured player on the Spurs roster anticipated plenty of emotion. Prior to the festivities, the team had earned its hard-fought 116-110 victory over the Cavs, with DeMar DeRozan leading all scorers with 25 points and 8 assists. 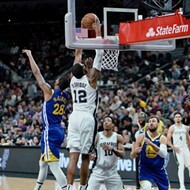 As San Antonio’s iconic Big Three of Tim Duncan, Tony Parker and Ginobili watched from the stands, it was Mills who fittingly hit a corner three to essentially close out the game. 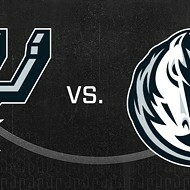 Mills, along with Marco Belinelli, are the only players that remain from the team’s title-winning foreign legion. 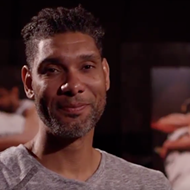 After the game, Spurs luminaries took turns honoring the most beloved player in franchise history to the delight of a captivated AT&T Center crowd. 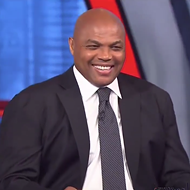 Parker joked about drawing Argentina’s ire for not passing Ginobili the ball. Duncan playfully recalled Ginobili’s selflessness and the joy he brought to the game. Modest to the end, Ginobili reflected on his unlikely journey from Argentina to the NBA. The highlight of the evening came when Gibobili eloquently thanked his family and friends in his native tongue. 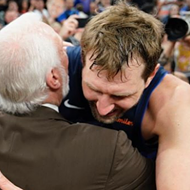 As Ginobili’s iconic number 20 was unveiled in the rafters it was the words of Coach Gregg Popovich that perhaps rang truest. “The way the team was set up we all needed each other and without Manu there were no championships,” he added.